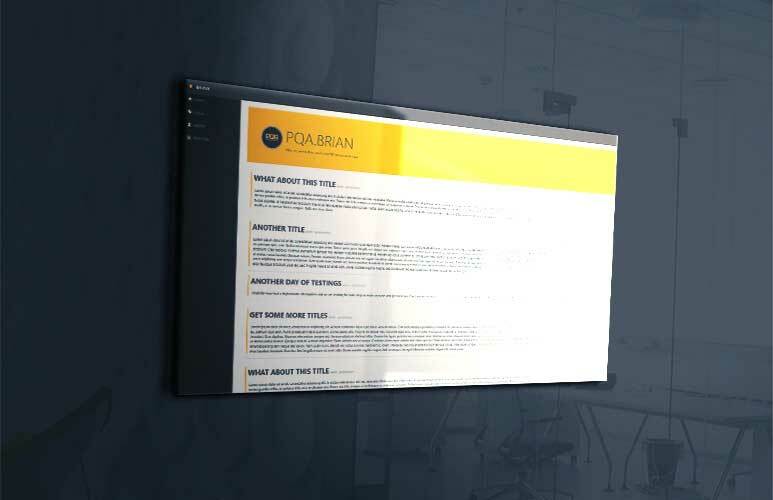 PQA Brian is a web-based internal communication application. Brian app stands for ” Brilliant Internal Advanced Notifications”. Our App was build based on modern MVC platform including .NET framework. PQA Brian handles operations like user login, adding and removing users but most importantly publishing company internal messages. How does Brian work? Our App is connected to the internal SQL database which is hosted on Microsoft Server 2012. Users have the facility to log in to the post page and publish their message. The messages are displayed in the browser on all registered machines (no need for login at this stage). To ensure everyone read the company posts, Brian’s sends an internal email notification. The notification is displayed in the bottom left corner, like for Windows 10 emails popups. Brian primarily was designed to publish only company announcements. Yet, after some small amendments, our app was converted to the main communication tool. Please contact us if you looking for bespoke build communication app, something that will be tailored to your company needs.